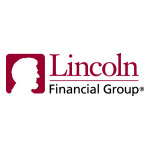 "Lincoln Financial Group is committed to helping Americans take actionable steps in order to attain their financial goals for the future"
RADNOR, Pa.--(BUSINESS WIRE)--Lincoln Financial Group (NYSE: LNC) announced today the results of its latest Measuring Optimism, Outlook and Direction (M.O.O.D.) 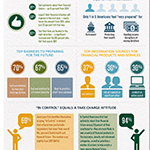 of America Survey that shows the majority of people polled (81%) feel optimistic about their financial future. That finding is up 13 percent from 2011, the first year the study was conducted. Those positive feelings are further augmented by 59 percent of respondents saying they expect their financial situation will improve in the next year. This is nearly twice the amount from 2011, when just 33 percent said they expected their financial situation to improve. Additionally, 83 percent feel their lives are headed in the right direction, which is a significant increase over the 66 percent who reported feeling that way in 2011. Despite good intentions, these positive attitudes alone are not translating into action-oriented behaviors. The data shows that only 1 in 5 Americans feel “very prepared” for retirement, protecting their wealth and handling income disruptions of varying durations. The research goes on to identify the top barriers to preparing for the future, which include a sense of feeling overwhelmed by the options for insurance coverage (70%) and retirement planning (67%), as well as the need to prioritize short-term expenses (65%). When it comes to becoming educated on those products and options, just 37% of Americans use advisors as a source of financial advice, which is higher than turning to online search and spouses/significant others. According to the study, 69 percent of Americans identified themselves as being “In Control,” a mindset that reflects how comfortable respondents feel about their overall life, personal/family health and financial future. This number is up slightly from 2011 (66%). In Control Americans continue to feel more optimistic, empowered and prepared than those who aren’t. Of those Americans who are In Control, 94 percent feel optimistic about their financial future versus 53 percent of their counterparts. Specifically, they are more likely to own a variety of financial products in the insurance, annuity and retirement categories, as well as prioritize a number of actions to help create a more secure financial future. Lincoln Financial’s 2015 M.O.O.D. of America Survey is the fourth in a series where the company has polled Americans on various topics, including financial attitudes and behaviors. The first survey was conducted in late 2011, and released early in 2012. Lincoln Financial Group plans to release additional M.O.O.D. of America data throughout 2015 and into early 2016. Upcoming releases will cover wealth protection; perspectives on life insurance products; annuities and group benefits; attitudes and behaviors among women; generational differences; and other demographic insights. The recently released Special Report: M.O.O.D. of America on Employee Benefits study is a companion piece that more closely examines non-medical workplace benefits and the ability of these products to heighten a worker’s confidence in their financial future. For more information on the 2015 M.O.O.D. of America study, including documentation supporting the findings covered in this news release, please reference the PDF via this link. Results for the 2015 M.O.O.D. (Measuring Optimism, Outlook and Direction) of America poll are based on a national survey conducted by Whitman Insight Strategies (WINS) on behalf of Lincoln Financial Group from March 31 to April 9, 2015 among 2,273 adults 18 years of age and older across the United States. The sample was weighted to reflect the proportion of adults 18 years of age or older by gender, age, region, race and Hispanic ethnicity based on data from the U.S. Census Bureau. The margin of error is ±1.9% at the 95% confidence interval for the entire sample. Lincoln Financial Group's 2015 Measuring Optimism, Outlook and Direction (M.O.O.D.) of America Survey: Supporting Documentation.